The Location Privacy Protection Act was voted out of committee today, which means it will move to the full Senate for debate, amendment and a vote. The bill, sponsored by Senator Al Franken (D-Minnesota), would require companies to obtain a customer’s consent before an app could collect mobile location data. Most applications already ask for user permission, and California state law requires that privacy notices be made noticeably available. Senator Franken knows this, but feels the practice should be made mandatory. The ranking republican on the Judiciary Committee, Senator Chuck Grassley, voted to advance the bill, but has concerns that it may reach too far and stifle legitimate commercial innovation. 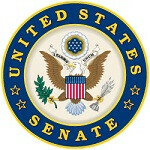 Senators Schumer (D-NY) and Whitehouse (D-RI) also expressed concerns with the bill, but would improve the language. Both sides of the political aisle agreed that “stalker apps” should be banned. There are not many regulations on applications and what function they may perform. Some argue that applications like ePhoneTracker from Retina Software, performs tasks which are borderline illegal in terms of call monitoring or location tracking. However, the app does serve a purpose for parents who have kids with cell phones. Senator Franken’s bill would extend liability to applications like this, but would probably allow a provision for parents who install applications on a child’s phone. There will not likely be a vote on the Senate floor until sometime next year since fiscal matters are currently sucking all the oxygen inside the beltway of Washington, DC. So basically this "outlaws" all google services, right ?